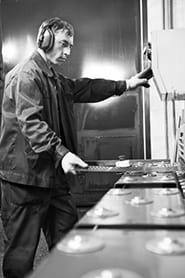 Sheet metal workers fabricate, assemble, install and repair sheet metal products and equipment. Determine project requirements (e.g. assembly sequences, required methods, materials) from e.g. blueprints, drawings and written or verbal instructions. Select materials, tools and equipment (e.g. gauges, types of sheet metal or non-metallic material) according to product specifications. Measure the sheet metal parts. Make the sheet metal the right size and shape by e.g. heat treating, cutting, bending, etc. Assemble components, e.g. by fastening seams and joints using welds, bolts, cement, rivets, etc. Install assemblies, such as flashing, pipes, tubes, heating and air conditioning ducts, furnace casings, rain gutters and down spouts. Finish the work, e.g. by trimming, grinding and smoothing surfaces, seams and joints using hand and power tools. Use specialised heavy duty shears to safely cut sheet metal objects. Use sheet metal clips to securely clip sheet metal objects together.